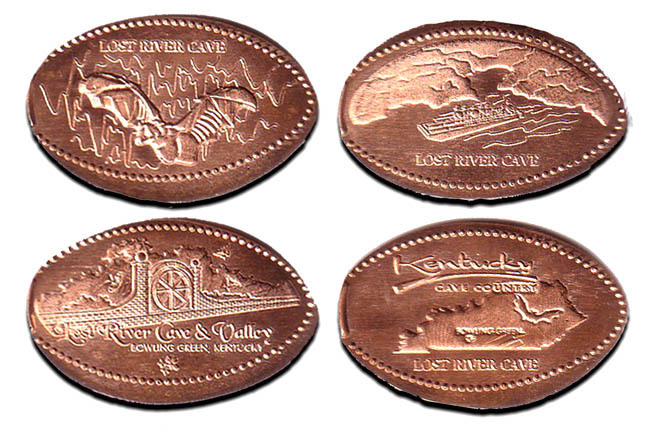 Lost River Cave & Valley is a 70-acre nature park hidden within the city of Bowling Green. In addition to offering Kentucky s only underground boat tour, the valley sports several trails leading to various blue holes (sinkholes connecting to the same river which rushes into the entrance of the cave), a seasonal butterfly house, and the Nature Trading Post. The penny machine is located outside the Gift Shop, on the left side of the front porch. thegillion added Lost River Cave to system.